Just before Christmas, Joshua & I decided to go on a trip for my birthday. 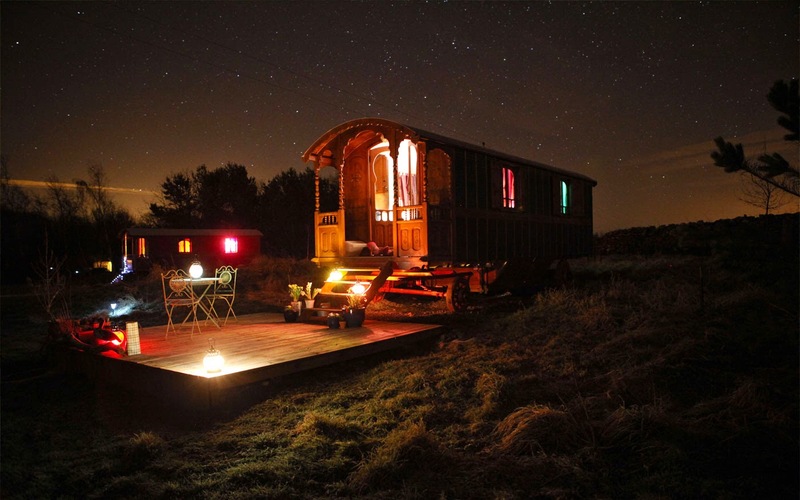 I knew I wanted to find somewhere a bit quirky that wasn't too far from Edinburgh, so I was delighted when I came across Roulotte Retreat - six French roulottes nestled in a wildflower meadow in the Scottish Borders. The roulottes are spaced out around a tiny loch, surrounded by fields and trees and farmland. 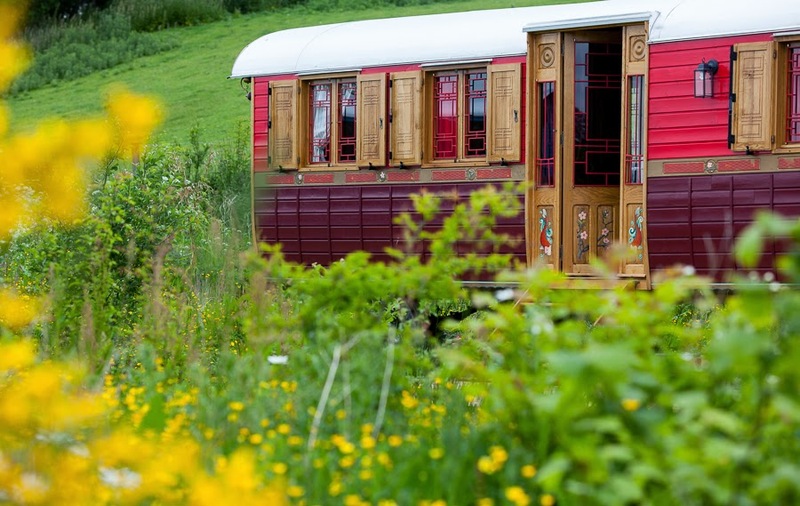 The six roulottes are all decorated in different styles - there's Indian, Celtic, Spanish and Himalayan themed caravans so you can pick whatever best fits your mood. Each roulotte has a woodburning stove (so you'll be super toasty, even in the depths of winter), a mini kitchen with a Baby Belling oven, living space, fancy shower and bathroom, and an original-style roulotte bed. 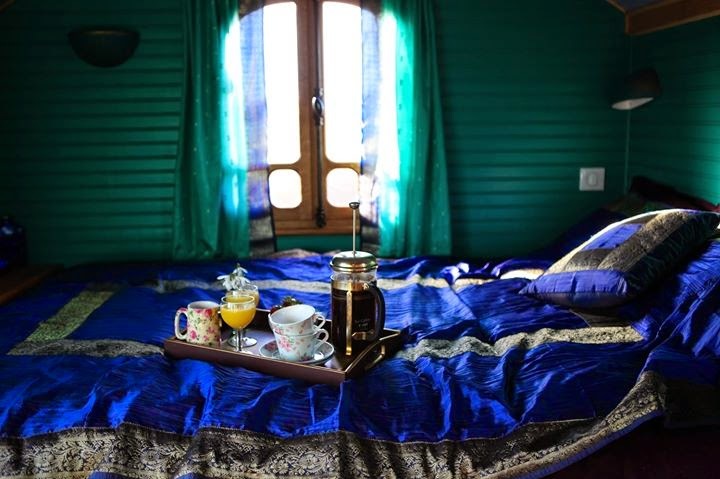 We booked two nights in Karlotta - a Celtic and Moroccan-influenced caravan, decorated in rich purples, reds and golds, with sari curtains and velvet touches. Each night the rain poured down, and it was just so nice to feel completely switched off from the real world, reading books, playing cribbage and drinking wine by a toasty fire. During the day there's loads to explore nearby (we were lucky and the sun came out while we went for a wander along the river). 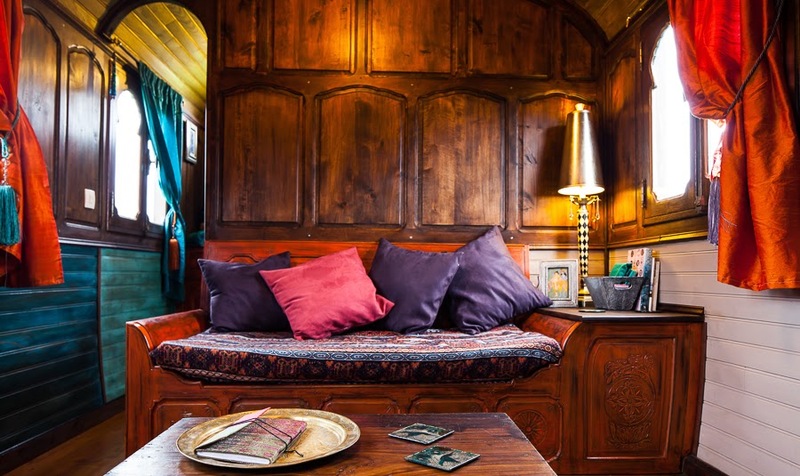 It's only £95 per night to rent a roulotte, and I'd highly, highly recommend it - I had such a relaxing time, and I'd love to go back in the spring when the wildflower meadow isn't quite so wintery and soggy. Wow this looks incredible and right up my street! Going to suggest it to the boyfriend!